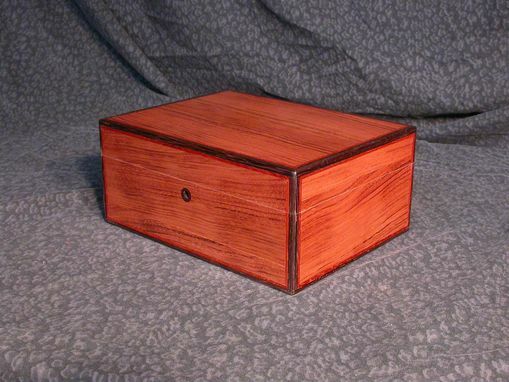 The exterior of this beautiful humidor is handcrafted with Honduras rosewood veneer, a solid wenge border and padauk inlay. 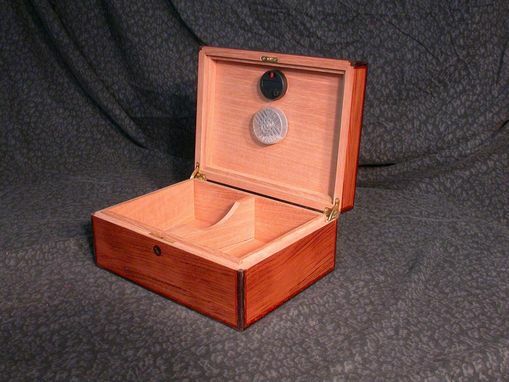 The Spanish cedar interior has a removable divider, humidifier and hygrometer/thermometer. Dimensions: 12" x 9" x 5-1/4"